What will a Merciless December Mean for Obama? 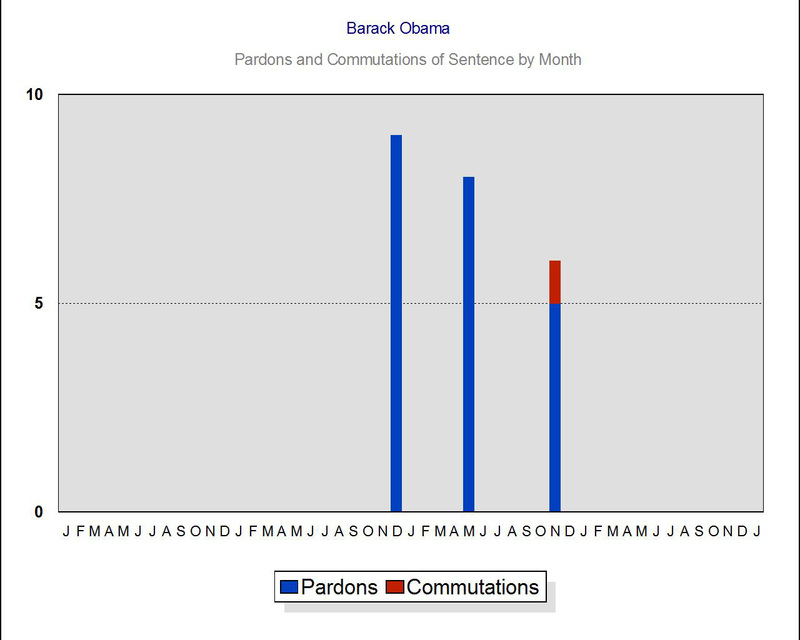 If President Obama fails to grant a single pardon or commutation of sentence this month (December), he will come ever closer to matching Bill Clinton's record of 46 months in a term without an act of clemency. 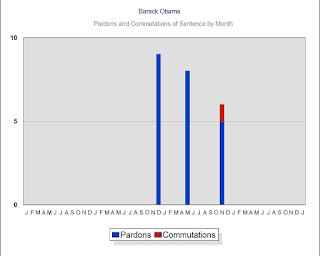 Obama has already tied George W. Bush's record for the most consecutive months (23) without a pardon or commutation of sentence. * January remaining in the term. It is a sad state of affairs, no leadership from the President, a Pardon Attorney who is judge, jury and executor. An attorney general who hides behind the president. Responsibility and power can be dangerous things to have, it can determine great accomplishment from grave failure. There are many in our government who have failed us in there use of the pardon process. Thanks for providing us such vital insight.